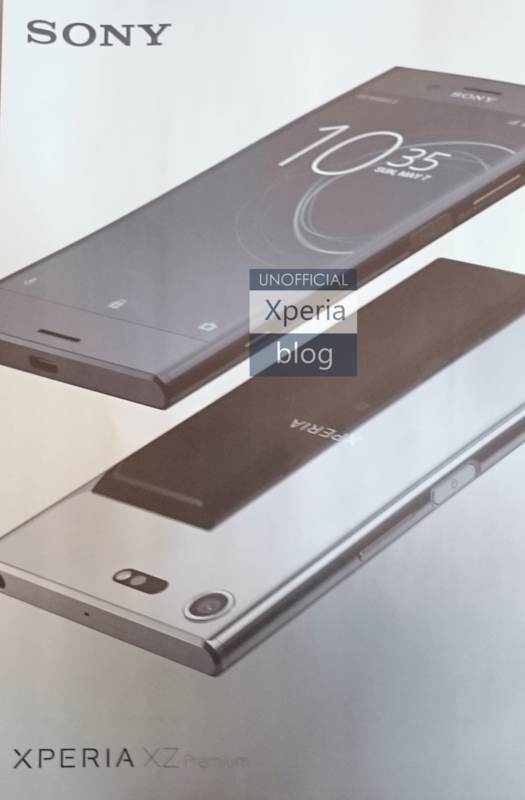 Sony is heading to Mobile World Congress this year and it seems like they have something special in store with another ‘Premium’ phone about to be announced, the Xperia XZ Premium. The phone has leaked in a picture over on the unofficial Xperia Blog, with the picture showing a May 7th date on the screen that they feel points to the actual release date of the phone. Rumoured specs for the phone include a Snapdragon 835 SoC which could account for the later launch date. A 4K resolution screen will again be present on Sony’s second ‘Premium’ Xperia after the Sony Xperia Z5 Premium launched a couple of years back. This being Sony, we of course expect great things from the camera and the Xperia XZ will be no different with a 20MP camera sensor on board with a 1.22μm pixel size for improved low-light capabilities. The camera features are rumoured to include an exceptional slow-motion experience capturing 960fps at 720p resolution – not quite the 1000fps at 1080P we were hoping for, but impressive nonetheless. A Chrome mirror finish will be the shining point for the familiar, but refined Sony design which should again include the usual side mounted power button that will likely house a fingerprint sensor and a USB-C port will be on the bottom. Sony’s MWC press conference kicks off at 08.30 CET on Monday 27 February which will be in the early hours of tomorrow morning here in Australia, 2:30am AEDST to be precise. Ausdroid will be there to see what Sony has to offer. I look forward to reading all the reports from MWC… But I do have a soft spot for Sony.. It looks very nice. What’s the price gonna be and will it compete with the best! Maybe!